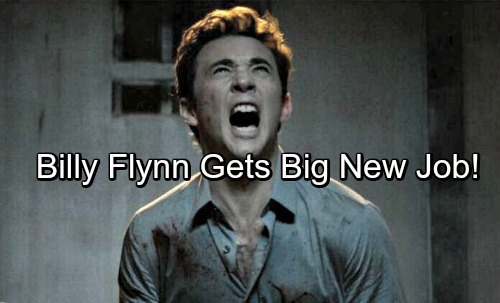 Still in pre-production, Billy Flynn will be starring as Kyle. Tyson Sullivan will also appear in the film. Not too much information has been revealed yet. What we do know is the movie revolves around a single father who is grieving losing his wife to cancer. Struggling to cope, things take a complicated turn when his deceased wife’s former boyfriend shows up. Billy Flynn is a talented actor and we are sure this film will be a success. Days of Our Live spoilers indicate that the soap star is grateful to his fans. In an interview with Starry Mag, he let everyone know just how much he appreciates views and those that follow his work. This will probably be just the first of many writing projects for Billy Flynn. He is multi-talented and we are sure he has more plans for writing in the future. We are excited to see what he comes up with and for his future in the entertainment business. This includes as an actor, writer and beyond. Congratulations to Billy Flynn on taking a huge step in wring a movie. We look forward to more information about “Willowbrook” being released. In the meantime, keep watching the NBC soap. Check back with CDL for the latest Days of Our Lives spoilers, updates and news.